The Council on Undergraduate Research (CUR) and the Barry Goldwater Scholarship and Excellence in Education Foundation will be presenting Francis Connelly, professor emeritus of mathematics the inaugural 2014 CUR-Goldwater Scholars Faculty Mentor Award. The award will be presented on June 30 at the closing banquet of the 2014 CUR Conference in Washington, D.C. In addition to a plaque commemorating the award, the University of Notre Dame will receive a $5,000 award in support of the Seminar for Undergraduate Mathematical Research (SUMR) program, which was founded by Connolly. A new study by University of Notre Dame biologist Elizabeth Archie and the National Museums of Kenya examining yellow baboons over a 29-year period demonstrates that having offspring influences the health of female baboons. Scientists are already aware that reproduction can be dangerous and energetically costly, exposing individuals to physical harm, infectious disease and reduced immunity. 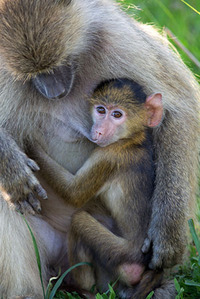 Archie and her fellow researchers used data collected as part of the Amboseli Baboon Research Project near Kilimanjaro, Kenya, to analyze how long-lived, slow-reproducing species such as primates adjust to the dangers of reproduction. W. Robert Scheidt, William K. Warren Professor of Chemistry and Biochemistry, recently completed a visiting professorship for senior international scientists with the Chinese Academy of Sciences. He spent one month at the University of Chinese Academy of Sciences in Beijing giving seminars and serving as a mentor for many students. Prashant V. Kamat, The Rev. John A, Zahm, C.S.C., Professor of Science in the Department of Chemistry and Biochemistry, received the Research Achievement Award at the annual President’s Dinner on May 20. Established in 2001, the award honors a distinguished faculty member who has made significant contributions to scholarship in his or her discipline and to the research and graduate education goals of the University. Arthur Lim, associate professor of the practice in the Department of Mathematics, won the Thomas P. Madden Award, which recognizes exceptional teaching of first-year undergraduate students. Lim was recognized at the annual President's Dinner on May 20. The Madden Award was established in 1962 by Rev. Theodore Hesburgh, C.S.C. when the First Year of Studies was established. Teachers of first year courses are nominated for the award by first-year students and the award recipient is selected by a panel of past recipients. The top graduating seniors in the College of Science were honored at the annual Dean’s Awards Luncheon on Friday, May 16. Gregory Crawford, dean of the College of Science, presented the Dean’s Award and Dean’s Research Award and the chairs of each department recognized the top students in each of their majors. In addition, Michael Hildreth, professor of physics, was awarded the Shilts/Leonard Teaching Award. As it does every Commencement season, the Graduate School has honored three members of the University’s faculty and staff for their distinctive contributions to graduate education, including Debra Bennett of the Department of Chemistry and Biochemistry. Akaa (Daniel) Ayangeakaa, Ph.D., has been selected as a recipient of the 2014 Shaheen Award. The highest honor bestowed on Notre Dame graduate students, the The Eli J. and Helen Shaheen Awards were established in 1990 and are named for two long-time benefactors of the University. They recognize the superior academic achievements of a graduating student in each of the four divisions of the Graduate School—Engineering, the Humanities, Science, and the Social Sciences. 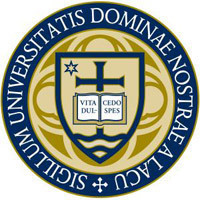 Nominated by their departments, Shaheen Award winners are chosen for their superior ability as exhibited by grades, research, and publication records, fellowships, and other awards received during the course of study at Notre Dame, as well as teaching ability. The group that oversees the Large Binocular Telescope (LBT) has selected the team led by Justin Crepp, the Freimann Assistant Professor of Physics at the University of Notre Dame, to build a new astronomical spectrometer named “iLocater” for its next-generation of instruments. The instrument was selected from among new hardware concepts proposed by the LBT observatory's domestic and international partners. Michael Hildreth, professor of physics, received the 2014 Rev. James L. Shilts, C.S.C./Doris and Eugene Leonard Teaching Award at the annual Dean’s Awards Luncheon on Friday, May 16. Hildreth received many recommendations from his colleagues and was selected for salutary influence on students in and out of the classroom. Like investigators combing a crime scene for DNA traces from suspects or victims, ecologists now apply similar genetic tests to search the environment for important species. 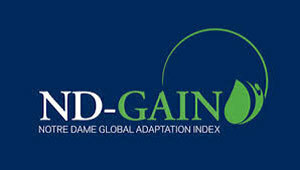 The Notre Dame Global Adaptation Index (ND-GAIN) at the University of Notre Dame is accepting applications for the ND-GAIN Corporate Adaptation Prize, which recognizes organizations that have made measurable contributions in creating resilience or adaptation to climate change. Jeffrey L. Feder, a professor of biological sciences at the University of Notre Dame, is a co-author of a paper featured Thursday (May 15) on the cover of the May 16 issue of the prestigious journal Science. The paper describes the genomic basis for parallel evolution in the walking stick insect, Timema cristinae. 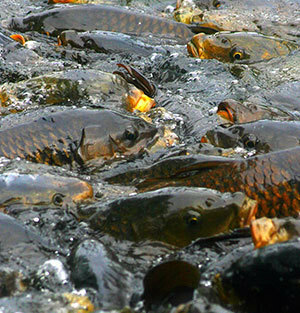 Parallel evolution occurs when similar traits evolve independently in different related populations due to natural selection. On Monday, May 12, over 300 fifth graders from the Michiana area came to the DeBartolo Performing Arts Center for STEAMnd, an initiative to teach students about how the arts and STEM (science, technology, engineering, and mathematics) fields can be integrated together. The goal of this event was to teach the students about the math and science behind musical instruments. The Notre Dame Center for Nano Science and Technology (NDnano) is now accepting applications for the fourth annual NDConnect competition to recognize outstanding undergraduate students who are engaged in nanoscience and nanoengineering research. Students graduating from any university or college in 2015–2017 are eligible to apply. On Friday, May 2, the eighth annual College of Science Joint Annual Meeting (COS-JAM) was held in the Jordan Hall of Science and featured over 140 research presentations from more than 180 student researchers. The mission of COS-JAM is to highlight undergraduate scientific research at the College of Science. COS-JAM is held in conjunction with the annual Undergraduate Scholars Conference at Notre Dame. Haifeng Gao, assistant professor of chemistry and biochemistry at the University of Notre Dame, was recently awarded a $150,000 research award from the Chemical Sciences Division of the Department of Army’s Research Office. The research award will begin this summer and can be used for three years of research. Senior science preprofessional major Michael Franczak is the first author in a recently published paper, “In Emergency Departments, Radiologists’ Access To EHRs May Influence Interpretations and Medical Management.” The paper was published in the May issue of the journal Health Affairs on Monday (May 5). A $75 million gift from University of Notre Dame alumnus and Trustee John W. “Jay” Jordan is the largest in the University’s history and makes him its most generous benefactor, with a giving total of $150 million. Jordan’s latest gift, announced Friday (May 2) during the University’s spring Board of Trustees meeting, will be directed toward the creation of a world-class research program in an area of science and technology that is new to Notre Dame and that has the potential to create innovative intellectual property that has important commercial potential. This past Saturday (Apr. 26) Notre Dame hosted the 17th annual Expand Your Horizons (EYH) conference for girls in middle school that includes hands-on activities in science, technology, engineering, and math (STEM). During the day-long conference, the attendees met female role models in STEM fields and learned more about careers in those fields. The main goal of the conference is to attract more young females towards STEM careers and help them realize that they have the potential to become innovative and creative thinkers ready to meet 21st Century challenges. 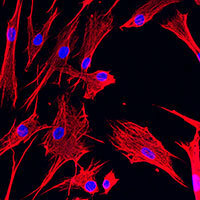 A study conducted by a team of scientists in the laboratory of Rebecca Wingert, assistant professor, Elizabeth and Michael Gallagher Family Professorship in Adult Stem Cell Research and assistant professor of biological sciences has provided novel insights into the genetic program of kidney cell development. This past Monday (Apr. 28) the Graduate Physics Students (GPS) organization organized their third annual conference showcasing the research of physics graduate students at Notre Dame. The conference consisted of two poster sessions, five research talks given by select students, and an award ceremony in Nieuwland Science Hall.